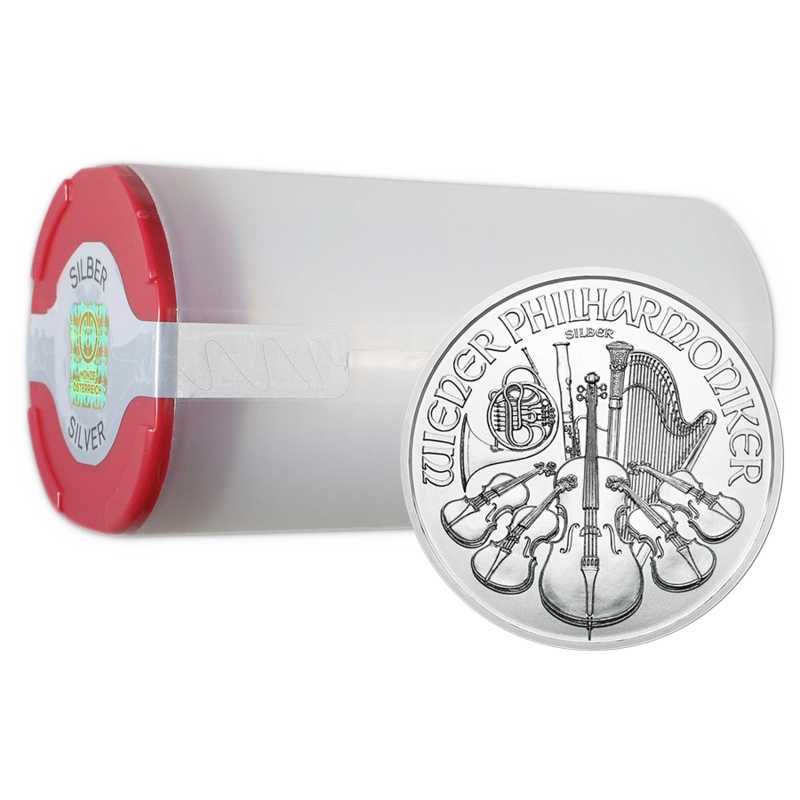 These 2019 Austrian Philharmonic 1oz Silver Coins (20 Coins) are supplied in original Mint tubes. 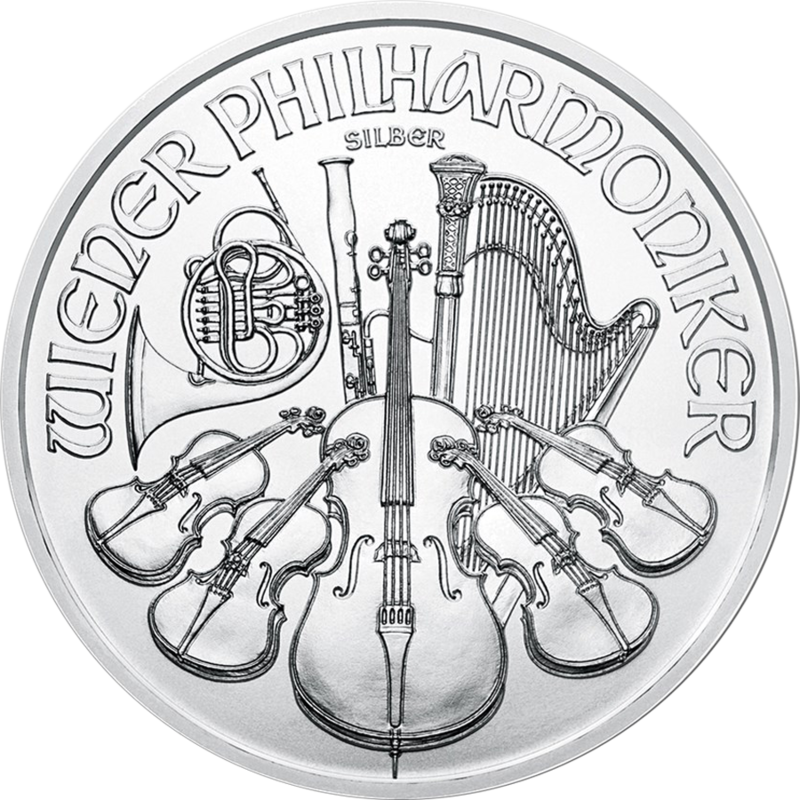 The reverse of the 2019 Austrian Philharmonic 1oz Silver Coin features an array of instruments, including the cello, violin, harp, French horn and bassoon, to represent the Vienna Philharmonic Orchestra. The obverse of each coin bears the portrait of the Great Organ in Vienna's concert hall, Musikverei. Minted by The Austrian Mint. Supplied in original Mint tube. The Austrian Mint has released new tamper evident seals on mint tubes and monster boxes. The Austrian Philharmonic Silver Coin is a legal tender coin of Austria. 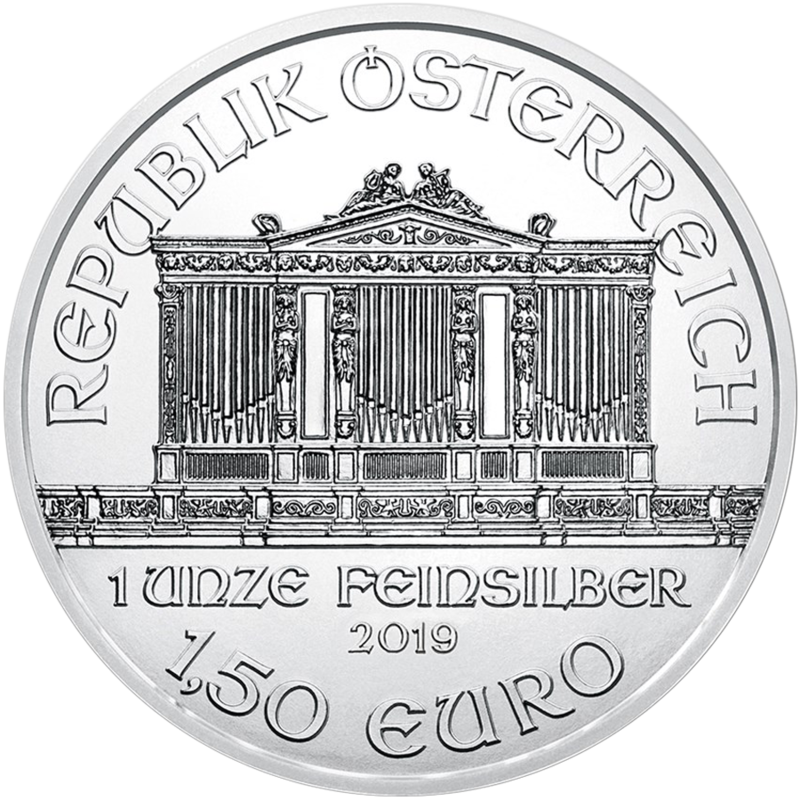 Produced annually by the Austrian Mint, it was first minted in 2008 and celebrates 10 years in 2018. The Philharmonic is now the highest minted and most well-known silver bullion coin from Europe. The Austrian Philharmonic Silver Coin has a face value of 1.5 Euro and is also one of the most recognisable coins in the world. Silver is subject to VAT at a rate of 20%. This collection offers you a cheaper way to buy 20 Austrian Philharmonic 1oz Silver Coins. If you are looking to buy greater quantities you may find the Mix & Match section offers you the best price for these coins.